Registration is now open for the 2019-2020 Future Stars League! 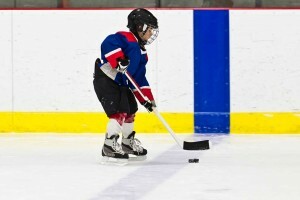 Registration is now open for the 2019-2020 season of the Cutting Edge Future Stars League, Halton’s premier development program for hockey players 4 to 8 years old. Designed and delivered by Head Instructor Jason Bergeron, the Future Stars League will be comprised of 48 ice times starting on September 14, 2019 and ending on March 8, 2020. Practices will occur on Saturdays with games being played on Sundays between 12-5 pm. Registration will also include an NHL jersey and socks. Games on Sundays will be facilitated by Cutting Edge Assistant Instructor Sarah Robson. Cutting Edge is providing you with the best value of any development league in the Halton region. When you register before July 1, 2019 you will receive our early bird special price of $495. The Cutting Edge Future Stars League curriculum is a well thought out, progressive program created by professional instructors who truly cares about the development of our students. Cutting Edge’s training sessions are conducted by Head Instructor Jason Bergeron, a highly knowledgeable and passionate instructor who will help your son or daughter improve their skills quickly in a fun and comfortable environment. When your child shows up to the rink each weekend, they will know who their instructor will be, and can expect a consistently high level of instruction delivered by an experienced and skilled professional. Sibling Discount: Cutting Edge is pleased to offer a 10% discount on the second registration when you register more than one child in our 2019-2020 Future Stars League. Check out the before and after video from our 2018-2019 Future Stars league to witness the incredible improvement made by the participants.